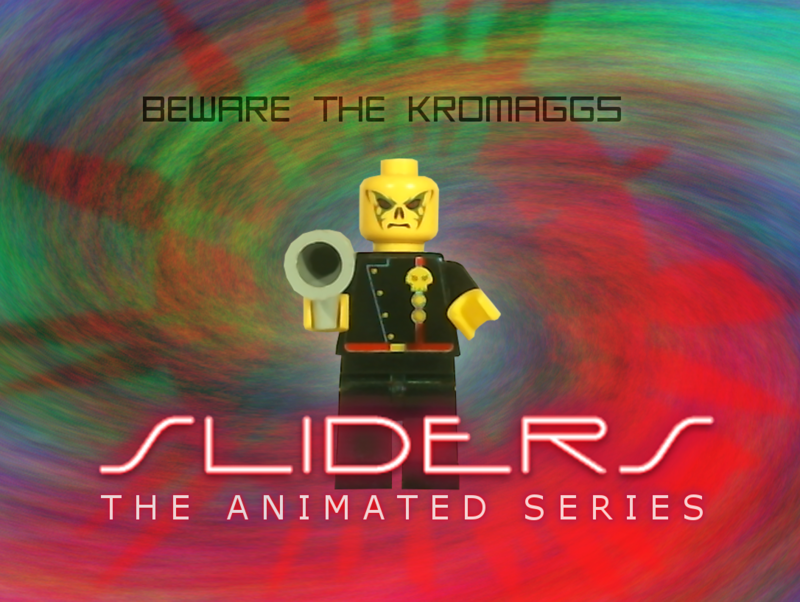 Topic: Sliders - An Interdimensional Sci-Fi series! 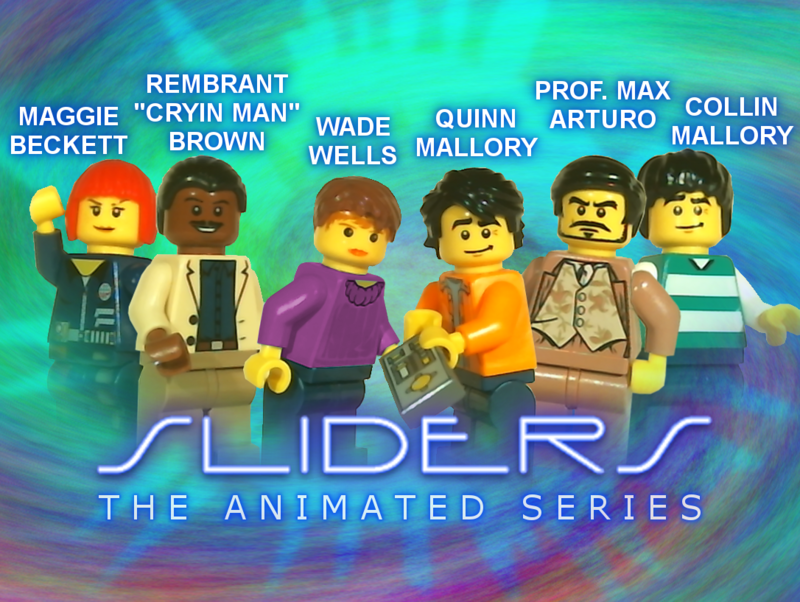 Sliders is based on the original 90's tv series that aired on Fox, and Sci Fi. It originally followed four interdimensional travelers, Quinn Mallory, Wade Wells, Maximillian Arturo, and an unsuspecting musician, Rembrandt "Cryin Man" Brown. Later in the series, the group picked up Maggie Beckett, a former army general, and found Quinn's long lost brother, Collin Mallory. Later in the series, however, Arturo, Wade, Quinn, and Collin left, for the final season. My show will follow on, ironically, alternate dimension, where all of these characters exist together. They'll "slide" through SanFrancisco, Los Angeles, and Vancouver, discovering worlds where the Russians rule America... or where dreams of being a superstar could come true... or where the East Coast was a maximum-security prison! Seems retro! Will be following this thread. Twitter | Instagram | YouTube Channel | Tumblr | My Weekly Film Podcast! Sounds cool! If you need any voice actors, I'll be glad to help. Is there any reason why the guy in the middle and the guy in the far right have the same face? Those posters are great, Dyland! Really awesome stuff. It originally followed four interdimensional travelers, Quinn Mallory, Wade Wells, Maximillian Arturo, and an unsuspecting musician, Rembrandt "Cryin Man" Brown. Later in the series, the group picked up Maggie Beckett, a former army general, and found Quinn's long lost brother, Collin Mallory. I remembere this series. This will be a nice Lego series. I have created a little "mini teaser" mainly showcasing a possible theme song that I've composed. I wanted this to sound a bit like a "high end-midi" but not too realistic. Sliders could be a pretty cheesy show at times, and, I'd like to reflect that wacky sci-fi feel with this piece. For you Sliders fans out there: Sorry, there isn't the iconic whisper at the end. I plan on adding it into the final show, but, since I haven't even gathered voice actors, or started a script, I don't have the time to record it now. But never fear! I'll do that, and more, by the time this reaches production; which, hopefully, will be rather soon. I'm planning on starting to film this after THAC. So, be on the look out! You accomplished what yu sought. It's the perfect blend of awesome & cheese! At the beginning it sounds like the final chord from "A Day In The Life" by the Beatles. At the beginning it sounds like the final chord from "A Day In The Life" by the Beatles. It's actually from the middle of "A Day in the Life," just before the song switches to Paul's part "Woke up, got out of bed..."
I have access to a multi-track version of that song, and, thought the "orchestral climax" would fit nicely it the intro. I'm still undecided if I'll use this or not in the final song. I'm such a huge Beatles fan, I always try to add little homages everywhere I can. I still have a few ideas for possible themes (including just using an actual Sliders intro) and, will experiment around a bit more before I make a final decision by the time of the first episode. I think that everyone in the world, if not a Beatles fan, goes through a Beatles phase. I did in college, especially lov the later trippy stuff. My favorite Beatles song is "I Am The Walrus". My favorite Beatles song is "I Am The Walrus". No way! It's my fav too! Back on topic: Neat theme song! I think that everyone would like at least one Beatles song somewhere in their catalog. I've shown a lot of my friends just how versatile they really were, as, I usually can single out one or two tracks that would appeal to them. Some prefer the more pop/rock I Want to Hold Your Hand, while others prefer the more surreal Lucy In The Sky With Diamonds. Though I could never single out a singe track, I do have my favorites for each member. Thanks. Even though it was just a test, I worked hard on it, just like I do with anything I take on. I've already got some revisions in mind, however, and, would still like to experiment more before making a final decision. It was a pretty hard obstacle to overcome out of the gate, but, I think I've just found a perfect start to the first episode. It keeps continuity with the original series, yet, doesn't rush into anything right away - almost recreating the actual pilot of Sliders from 1995! Hopefully, with a little bit of elbow-grease, and some cross-referencing, it should remain a great introduction of the show to newer fans. I'll post little excerpts of the script, here and there, as I go; making sure to not reveal too much about what will happen per episode. If everything works out, I'll get feedback and improve, will tease future episodes to those following this thread, and will keep continuity with the original episodes! Whew! If that sounds like a lot - it was. I'm glad I could find a good solution this early on. With some luck, there shouldn't be any more major events setting back the series from here on out. Hey, that sounds awesome! Are you still recording your MIDI piano? Thanks. I'm glad you liked it, rioforce. Yes, I am still recording my MIDI piano through my Blue Snowball mic in Audacity. And, in my opinion, this sounds much better, and a bit more high-end/professional than the recordings I did for Johnny Thunder about a year ago. I guess that just shows the power of editing. I've been studying (off of the Beatles multitracks, and other sources) musical mixing and mastering, and took a bit of that knowledge and have been applying it to my own music. Stereo spacing really can create more "width" which is exactly what my older recordings lacked. Someday I plan on getting some really high quality recording software, and will start composing a bit more professionally. (Similar to how Kevin MacLeod does through his website, Incompetech.) However, I always plan on scoring brickfilms for free. I feel like music production doesn't get enough attention from newer brickfilmers, and, even masters like Nathan Wells and Doug Vandegrift would love original scores for their works. But, as for now, it's a "what you see is what you get" sort of basis. I do compose for others, but, it's on my MIDI through a Blue Snowball mic. I do take music much more seriously now, though, and plan on using 90-100% original scores for all of my own brickfilms in the future. Well, though you played through a mic, it came out great. Maybe part of the warmth ofthe synths came from the fact that you used this method! For a not-too expensive solution to midi recording, I recommend Sony Acid Pro! You can mix midi and wave recording/sample recording, but if you like 100% midi recording, just get Acid Pro and then download a few free software synths (softSynths). I can name a few of my favorites off the top of my head: Beast for lead synths, Protoplasm for pad synths, WMN-1 for noise sounds, there are many others but my mind is drawing a blank right now. If you buy Acid Pro and download these three synths (plus use the exdended general Midi that comes with Acid Pro), you'll already have nice palette of sounds to use. And I already mentioned Beast, Protoplasm and WNM-1. You can find these synths on Bing.com by typing the name of the synth along with the words "download" and "VST". Sometimes adding the word "free" helps refine the searches further. Thanks a lot, HoldingOurOwn! I'll definitely look into Acid Pro. I had a 30 day trial to a similar program in the past (it used VST's) and, had a bit of trouble finding the right plugins for the right sounds. But, you seem to have tracked down a lot! (And, even a Mellotron one! I've always wanted do experiment with it's strings and flute sounds, just like The Beatles) It looks like Christmas came a bit early this year. I currently have some external projects for other brickfilmers that need to be wrapped up this week, so, this may temporarily slow down production of SLIDERS. However, the script for the pilot episode is nearly completed! I will wait to post any excerpts until I have about 3 scripts, though. I'm planning on waiting until I have several scripts completed before I start filming anyway - This will allow me to "batch animate" on sets; Animating all scenes for several episodes at the same time, making continuity much easier to track in editing. Overall, things are still moving ahead at a great pace. I'll upload some more pictures soon - probably before script excerpts. So be on the look out! I hope you love MellowTron. I actually have 300+ VST synths in my library, and I use real synths and sequencers as well. Hey Dyland, what is the estimated length of your Sliders, episodes? So far, I'm planing on making videos around 10 minutes, split into to parts of 5 or 6 minutes each. (Somewhat of an homage to commercial breaks, like the original series) Though not beyond my limits, a "traditional" 45 minute episode length would stick out a little too much in the brickfilming world, and, would be nearly impossible to do in just a week. Overall, I like to have enough videos lined up before the premier, and make episodes easy enough to make, so that I could do a video every week for each season. (Taking a several month to a year break in between seasons) I think this would be the best "happy medium" between quantity, quality, and would keep the videos at a sort of constant, just like a real television series! If cranking out a video each week becomes too much of an undertaking, I'll limit videos to once a month at the most. After only cranking out 2-8 videos a year since 2012, I really want to raise the stakes, and release around 14 a year, at the least. Worst case scenario, if Sliders TAS (as I've taken to call it) only has 12 episodes a year, I'll still have my Alpha Team and Adventurers short features to do, which would make the overall number of brickfilms 14. If I can, I'll even do some really original ideas, like this "Possessions" I've not talked about a lot apart from in the chat room a few months ago. It might be a feature length brickfilm! But, would take several months or even years to complete. That's one of the main reasons I'm even doing Sliders. (aside from being a big fan of the show) I've always wanted to do something on a regular basis. CinematiCritics didn't really kick off, so, I opted to something more brickfilm related - and this series seemed like the perfect opportunity! So, the answer to your question, HoldingOurOwn, is that each episode will be around 10-15 minutes in length, and will premier at a constant (either each week or each month) until each "season" ends.